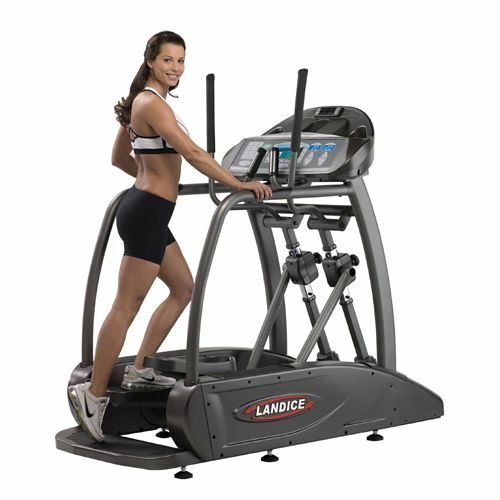 Landice E950 Pro Sports Trainer panel features a two-colour, hi-definition, motivational display. Display shows distance, time, calories, speed, revolutions per minute, pulse, metabolic equivalent speed, and metabolic equivalent distance. Users must allow a minimum clearance of 6 inches (15.2cm) on each side of the elliptical and a minimum clearance of 1 foot at the rear of the elliptical. 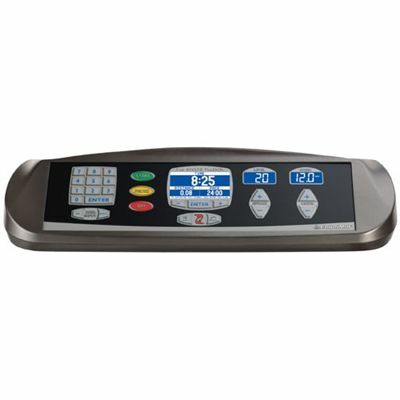 High-Tech entertainment centre features the integrated fan, water bottle holders, and iPod® or MP3 connectivity to play music through the built-in stereo speakers. Isolated upper body workouts are possible due to the integrated side frame foot with non-skid surface. The footprint has 34" x 76" (86.4 x 193 cm). The shipping dimensions are 82" x 41" x 25" (208.3 x 104.1 x 63.5 cm). Warranty: commercial warranty 5 year parts and 1 year labour. The elliptical comes without 15’’ Vision System TV/DVD. 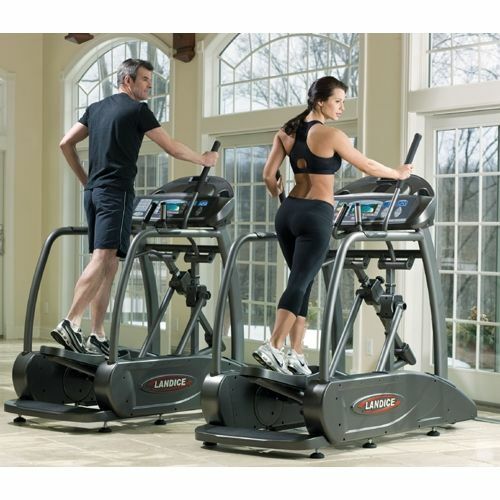 for submitting product review about Landice E950 Pro Sports Trainer Elliptical.